On the eve of Batman's wedding to Catwoman, two of Gotham City's finest minds clash. In her role as Oracle, Barbara Gordon wired all of her allies together. 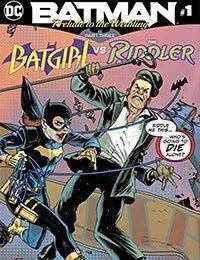 But when The Riddler takes on Batgirl, will he tear everything asunder?